Dateline 06-April-2014 — Stanczyk has found many of my great-grandfather’s grandsons came to the USA. Tomasz Leszczynski was good for this country. More of his children (sons & daughters) came to the USA and more grandsons came to the USA than I had previously known. 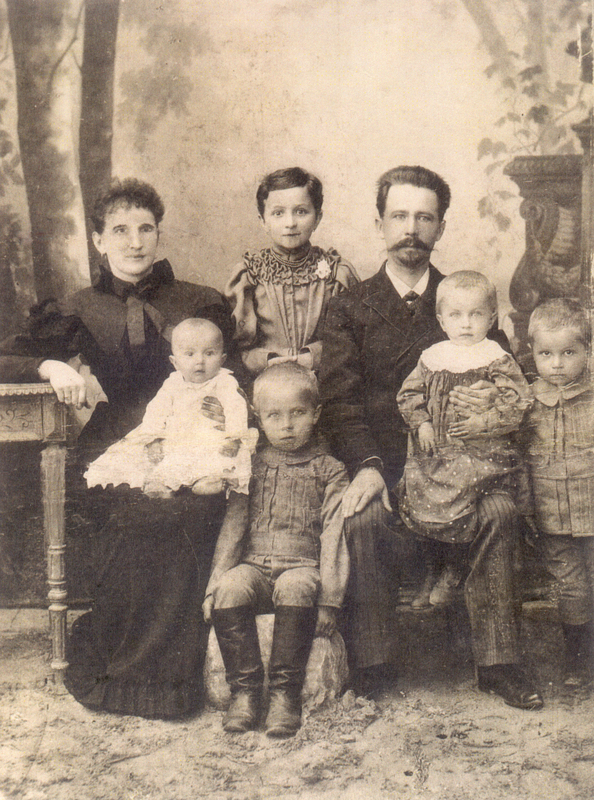 You see my great-grandfather, Tomasz Leszczynski had 16 children by two wives from the years 1857 … 1902, across 45 years his two wives bore him 16 children. Even more amazing, only three of my great-grandfather’s children had perished before my grandmother herself was born (the eldest child of the second wife). It should be noted that routinely 25%-50% of the children in that locale, in those years died before puberty. Sometimes the ratio was higher still such as in times epidemics (i.e. cholera). Even more amazing, all of my great-grandfather’s children with his second wife, Aniela Major Leszczynska, survived including my grandmother – whose grandson pens these family stories and recalls these times from before the US Civil War until the present. God had certainly blessed Tomasz Leszczynski and Tomasz’s years were numbered to 104 years of age. All agree in the USA as to the length of his lifespan across the many families descended from this one man. Alas, the great lifespan has been a hinderance to me (his great-grandson) who tries to write the family history and I have not yet found the year of his birth, the year/place of his first marriage (to Julianna Kordos Leszczynska) and I have not found his death date/place either. The 104 year span covered from about 1832-1945 — yes, yes, I know that span is 113 years. But you see I do not know which 104 year span in that range is the life span of Tomasz Leszczynski. I hope to visit Poland and gather his death certificate and put certainty to the end of his lifespan and put an anchor in the estimate of the year of his birth. I now have a very good timeline of info about my great-grandfather’s life and the whereabouts of his children and most of his grandchildren too. That over long pre-amble is to note that GenBaza with their online database: metryki.genbaza.pl that I have written so often of in 2014 has been a great source for my family heritage and I owe a debt of gratitude to genebaza.pl and genealodzy.pl too. It is from this database that I have located many of my great-grandfather’s children getting married and having children of their own! It is from this and my meticulous recording of these facts in my family tree on Ancestry.com that I have located new records in the USA of my great-grandfather’s descendants. I had no idea. I assume that my Polish-American heritage is similar to the vast majority of Polish-Americans. My family arrived, mostly at Ellis Island, and they originally put down roots for their American families in the Great-Lake States of the USA: New York, Pennsylvania, Ohio, Michigan dominate, although I have seen bits and pieces in Indiana, Illinois and Minnesota too! Now a days the family has migrated further in the USA and I will not attempt to enumerate all of the states — suffice it to say that we stretch from the Atlantic to the Pacific. Now we approach the point of this blog article. I have been busy with the Immigration records in Ancestry.com after recording the new finds from GenBaza.pl and was surprised by how many of my great-grandfather’s line had left Poland. This surprise led to a lot of scanning ship manifests for the the somewhat common name: Leszczynski. Well I landed on a ship manifest of a French Ship landing in New York City. The year was 1919 and I did not giver any particular credence to the year other than I could expect more details in the ship manifests (than say those ship manifests from 1906 and earlier). So as I was reading for a possible ancestor, I noted that a good many men had fought in the Polish Army (or the French Army) and that the majority were Polish names. So it is my assertion that I have discovered a new ship with only a scattering of returning Haller’s Army personnel (listed as both Polish Army and/or French Army). Only a handful of pages, although I am sure there were a good bit more manifests with only one or two soldiers listed among the 30 passengers per page. But below you will find four pages that were almost all or mostly all returning soldiers from WWI. The late date is not unusual for Polish veterans as many in Haller’s Army stayed past the end of WWI and continued the fight against the Bolsheviks of Russia in the aftermath of WWI. I also learned something new. I had known that the Polish-Americans who signed up to fight in French-Army under General Jozef Haller had trained in Canada. But I had never considered that a good many French-Canadians had trained in Canada too to fight in the French Army. There are a sprinkling of these French-Canadians mixed in too. These French-Canadian soldiers are “In Transit” as they are continuing on to Canada. NOTE: In the three part series, I have posted the link to middle article which had the other transport ships previously known. You can go forward/backward from the middle article to see the other two articles in series. Stanczyk just wanted to let his readers know they have this Labor Day Week/Weekend to search Ancestry.com for free in at least their Immigration records! I took advantage of this to do some new searches related to the Social Network Analysis (SNA) I did a while back. I also remembered my Haller’s Army article too and so I decided to search for one of my returning Haller’s Army vets (actually his brother Leon). Boleslaw returned in 1920 on Princess Matoika and I got to thinking, I know his brother Leon fought in World War I (in the US Army — not Haller’s Army); Perhaps I can find US Troops returning from World War I too. Well all of a sudden I found Leon Wlecial on his INITIAL arrival in America in 1913. Too bad it was only the Hamburg Ship Manifest which has such little detail. But then my forensic mind kicked in. 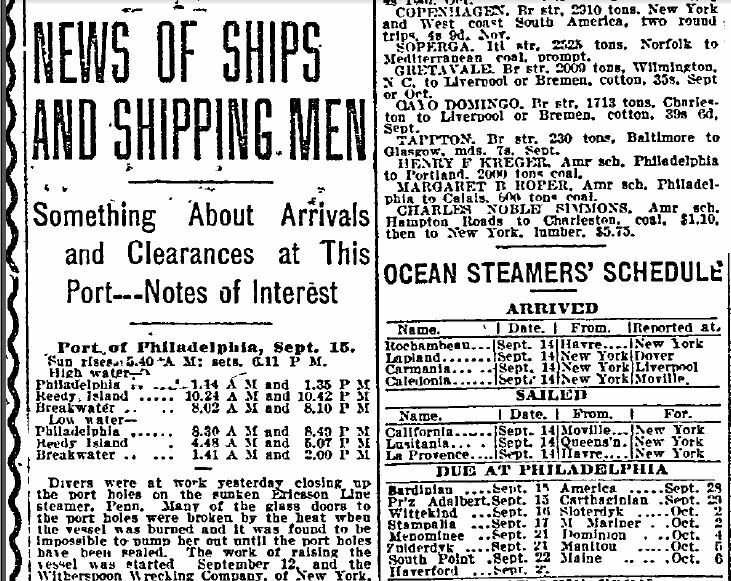 If he came to US via Hamburg there had to be a NYC or Philadelphia arrival record for him. I tried variations on the name to no avail to find the matching ship manifest in NYC/Philadlephia. 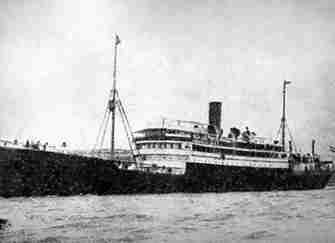 I finally decided to look at all arrivals on 12/20/1913 on SS Pretoria. I searched for all “Leons” assuming they butchered the last name on indexing. No Leon Wlecial in the Leons??? I then did a search on all “Lean”s and lo and behold there was my Leon hiding amongst the Leans with his last name also butchered coming form his wife (??? — never knew he was married) and going to his brother Boleslaw whom I knew well and had a lot of documentation on. So indeed this was my Leon Wlecial (as if there could be another Leon Wlecial with a brother Boleslaw Wlecial in Detroit, MI). Now the Wlecial/Wlecialowski name is very rare indeed so I did not need much convincing but this info was too good. I now knew Leon had been married in Poland to a woman named “Maten” (??) from whom he was arriving from. I also knew he was living in “Baczanow” (a corruption of Pacanow, often written Paczanow in Ship Manifests) and that he was born in Rusek. Rusek, really ??? Well that might explain why I found his two siblings birth records in Pacanow, but not his. Note to self – FIND R-U-S-E-K (if it exists) in a Gazetteer. I also now had a new residence for his brother Boleslaw Wlecial who was living at 449 Grady Ave, Detroit, MI on 12/20/1913 apparently if you can believe the stuff written on Ship Manifests. The moral of this story was … Do NOT stop at just the Hamburg Ship Manifest. It means there is a matching Ship Manifest in Ellis Island or for Philadelphia port. Use the date and ship name if the name does not pop up in NYC/Philadelphia searches. You can always go page by page on the Ship Manifest, but often some shrewd guessing can help you divine how the name was mangled by an indexer misreading the Ship Manifest. Gentle readers, today’s article is about the many genealogical or personal ties to the history of Haller’s Army. The focus is on what the genealogist may want to pursue to flesh out his/her family tree. came from the US via a US sanctioned formation of a foreign force, which had to be constituted in Canada due to USA fears and its isolationist policies that limited President Wilson. These brave 25,000 men were added to another contingent of 35,000 Polish men formed largely from prisoners of war from the German and Austria-Hungarian armies inside France, who were now willing to fight against Central Powers as a part of the Allied/Central Powers. They fought bravely in World War I, before the USA entered the war and for nearly four more years (1918-1922) after World War I officially ended in the Polish-Bolshevik War (aka Polish-Soviet War). More Background can be found here (Haller’s Army website) or at the wiki page (Blue Army). The recruitment centers were in the Polish Falcons centers. The Polish Falcons were called the Związek Sokołów Polskich w Ameryce (ZSP) and this is what you will find on Haller’s Army enlistment forms. The Polish Falcons still exist and are headquartered in Pittsburgh, PA. There are reportedly 115 Polish Falcon Nests across 15 states. Each Nest has its own history that it maintains. 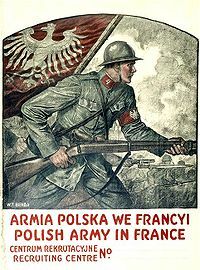 The Polish Genealogical Society of America (PGSA.org) maintains a database of the Haller’s Army registrations that can be searched for your ancestor(s). It is free to search and there is a modest charge to get a copy of the actual documents. 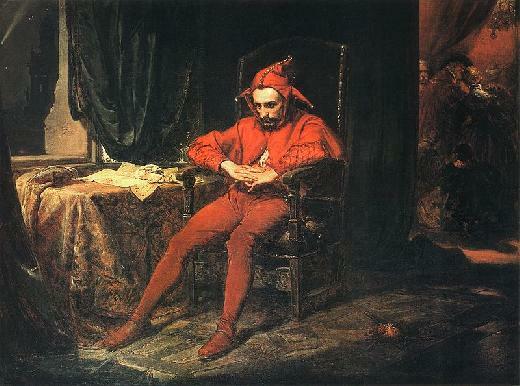 The search page is here: (http://www.pgsa.org/haller.php) . These documents are archived by the Polish Museum of America in Chicago. This data is also on LDS Microfilm by region see this page for details . Form A is an intention to volunteer and contains the name, address, age, and marital status. Form B is a medical examination report for the volunteer. Form C is the final commitment paper. It includes date and place of birth and usually the name and address of a parent or other close relative. The Form’s family notes include close family in USA and in Poland. The Allies issued medals to their victorious soldiers so you may have in your family heirlooms one of these. This website has an index of the various medals (with images). Many of the websites whose links are in this article also have pictures of men in uniforms — which included their distinctive hats. We tend to think the soldiers were all Polish men and that these men were Catholics, but our Polish-Jewish brethren also served in Haller’s Army. This page from Polish Roots is about the Jewish soldiers who served and provides a table of many of the men known to be Jewish. Returning passage – Payment of passage was split between the Polish and United States Governments. [see column 16] on ship manifest. It appears some soldiers returned with wives and children too [so those numbers above are not all soldiers]. They (PAVA or SWAP) have genealogical data from their membership forms. According to Dr Valasek, the membership application for the association has the usual, date, place of birth, current address, and occupation; It also had something most descendants of Hallerczycy desperately want to know: the unit in which the man fought, and his rank upon leaving the army. There is also the identification of which post the soldier joined. Each post has its own history, as well as photos, banquet books, anniversary booklets, etc. All valuable adjuncts to your research once you identify the correct post, (or, as it’s known in Polish, placówka). There is also a question on the form, Do jakich organizacji należy? , to what organizations does he belong. More avenues for research. In any war, there are casualties. Haller’s Army is no different. Stanczyk likes this Polish Genealogical Society (http://genealodzy.pl/name-Straty.phtml) named aptly, The Polish Genealogical Society. They have many databases, but they have search front-ends for two related to Haller’s Army. The one from the link above is for: List of Casualties of the Polish Army, killed in action or died from wounds from the years 1918-1920. With this link I was finally able to determine that one of my ancestors who was in America up through the 1910 census, but was missing from the 1920/1930 censuses, whom I had previously thought had returned to Poland — had really died while serving in Haller’s Army. I found his Haller’s Army Forms at PGSA and then from this Polish website I found a scanned image of a Polish book listing his name, date/place of death. Some soldiers who came to America who served in Haller’s Army, earned benefits from the new Polish nation. I have seen land grants awarded (not to my ancestors). They often had to be contacted through the Polish Consulates in America. This leads to my final recommendation — using Historical Polish Language Newspapers from that era to find out about your soldier. The newspaper may write about the returning units in a story and possibly a picture. I have also seen that the Polish Consulate took out listings in the newspaper and referred to Haller’s Army veterans they were seeking to inform them of their veteran benefits. See my Dziennik Polski (Detroit) page at the top menu-tabs for an example what these Polish Consulate ads might look like. Let me finish today’s article by mentioning Dr. Paul S. Valasek’s book on the subject matter: Haller’s Polish Army in France http://www.amazon.com/Hallers-Polish-Army-France-Valasek/dp/0977975703 and also another book entitled: Remembrance http://www.hallersarmy.com/store/Remembrance.php. written by Charles Casimer Krawczyk. 1=Polish Falcons History page . Paul Valasek says the number is above 24,000. The wikipedia says the number is 23,000. 3= The addition of the President Grant came about from a Newspaper Article mentioned by Daniel Wolinski. A picture of the article has been appended after these notes.